Musculoskeletal injuries are the most common cause of severe long-term pain and disability. 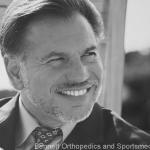 At Bennett Orthopedics and Sportsmedicine, Dr. Bennett, the founder has an armamentarium of approaches to treating you cartilage injury which range from injections to surgical procedures. The decade from 2000 to 2010 was called the “decade of bone and joints to launch global awareness and promote further research in the prevention, diagnosis, and treatment of joint injuries. In the United States, osteoarthritis medicines cost $5.31 billion in 2007, and musculoskeletal conditions including osteoarthritis cost nearly $128 billion per year. Recently the push to maintain and preserve joints has been made with biologic approaches to maintaining, repairing and regenerating joint tissue like cartilage and the underlying bone. All joints in our body have Hyaline cartilage(articular cartilage), which is the “cap” of cartilage on the end of the bone. It combines a smooth surface and the ability to withstand an extreme amount of pressure. Unfortunately, articular cartilage lesions with the inherent limited healing potential, is problematic and the first step to developing arthritis. Orthobiological techniques in cartilage lesions are becoming more frequently used. Growth factors and mesenchymal stem cells have been used successfully in many medical fields, such as maxillofacial, cosmetic, spine, orthopedic, and general wound healing applications. Dr. Bennett has utilized these biologic approaches to treat cartilage injuries and arthritis. Nonsurgical treatment of cartilage lesions, including diet, intra-articular injections, and rehabilitation were relegated to pain control and activity modifications and do little to restore cartilage anatomy and function. Even lubricating injections, also called viscosupplementation, do little to restore articular cartilage to normal after damage. Recent studies on pulsed electromagnetic fields and platelet-rich plasma injections and mesenchymal stem cell injections have shown that these methods have the capacity to help heal cartilage tissue and delay osteoarthritis. Simple weight-loss and cessation of nicotine use have been shown to decrease pain, increase mobility and move a patient to a higher quality of life. Electromagnetic fields provide chondroprotective treatment for patients immediately following arthroscopic surgery without any negative side effects and it exerts a short-term effect in reducing functional recovery time. Platelet-rich plasma preparations have been used with effective results both in surgical and outpatient procedures in the treatment of musculoskeletal problems and can be simply injections or used in conjunction with surgical procedure. Dr. Bennett has had great success with both approaches. Simple injections of PRP has been shown to greatly reduce pain and has also been shown in the lab to help cartilage repair. Dr. Bennett uses PRP with ACL reconstruction, meniscal repair and even cartilage microfracture treatment. Traditional palliative or reparative treatment techniques have demonstrated variable results. The most common cartilage treatment is a meniscal resection: the second a lavage and debridement of articular cartilage. The following procedures in the order that they are discussed progress from the least invasive and shortest rehabilitation time- most of these creating little cartilage repair or cartilage of inferior quality- to those that are more involved and require longer rehabilitation times-these being the procedures that create near normal cartilage. A chondroplasty can provide symptomatic pain relief with no actual hyaline tissue formation. However, these techniques remove superficial cartilage layers that include collagen fibers responsible for the tensile strength, which creates a functionally inferior cartilage tissue. Bone marrow stimulation techniques, such as subchondral plate drilling or microfracture, have been reported to stimulate production of hyaline-like tissue, but in fact create an inferior cartilage called fibrocartilage. Many athletes enjoy this approach because when they are in their down season, realize some cartilage healing. However, with time, this cartilage then wears out again. Thisusually lasts 4-5 years. These are cartilage pug techniques whereby a dowel of cartilage if transferred from within a site inside the knee joint in an area where it is not needed and then placed tightly into an area where there is damaged cartilage. This is usually relegated to areas of 1.5cm or less. This technique and subsequent generational improvements create near normal articular cartilage. The initial technique included a 2 step surgical procedure. The first is a biopsy of adult cartilage from inside the knee. The cells are then grown and sent to a lab where they are deprogrammed and become like a stem cell. They are then grown and multiplied till around 12,000,000 cells. The second procedure required open surgery and the harvesting of a periosteal patch from the patient. With evolving techniques, Dr. Bennett is now performing some of these techniques with an arthroscope. The periosteal patch was implicated in overgrowth and scarring, requiring multiple surgical procedures. Dr. Bennett has been performing second generation cartilage implantation for over 6 years. This includes using a scaffold to place the cells behind other than the periosteal patch. He has been using a collagen membrane. Other scaffolds include resorbable polymers and hyaluronic acid derivatives. This allows for a smaller incision and allows for a diminished number of multiple secondary procedures due to adhesions and overgrowth of the periosteal patch. Cell specific expansion techniques, arthroscopic approaches, growing cells in a 3-dimensional construct, subjecting the cells in the growth medium to mechanical forces, seeding the cells on the membrane all constitute evolving and new generations of cartilage repair techniques. But wait-toward a 1-Step Surgical procedure includes harvesting at the time of surgery bone marrow derived mesenchymal stem cells and placing them into the cartilage defect at the time of surgery. Dr. Bennett has been using these stem cells for 6 years, come to Bennett Orthopedics and Sportsmedicine and get the state-of-art cartilage treatment approaches.